As you might know Red Hat released a new version of the OpenStack (Kilo) installer based on tripleO and Ironic. One of the reason why Red Hat went with tripleO and ironic is that you will be able to extend and upgrade an existing OSP 7 environment. Part 1 of the blog series is about setting up OSP director. 9. ALL next steps need to be done as user stack install the python-rdomanager-oscplugin. [root@ospdirector ~]# semanage fcontext -a -t haproxy_exec_t /etc/pki/instack-certs(/.*)? 13. Now that we have done all the pre work we can now proceed with editing the /home/stack/underlcoud.conf. Make sure to change the following lines within the undercloud.conf as user stack. 14. Leave everything as it is in the auth section for now. 15. As user stack launch the install. Once your done you only will be able to access the actual undercloud via pxe network. If you want to make this accessable for anywhere you need to edit the /etc/openstack-dashboard/local_settings. Your OSP Director setup is now complete. 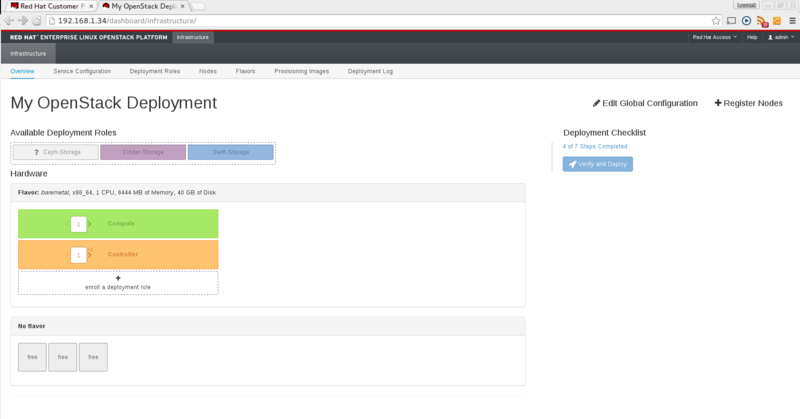 The next part will explain how you will be able to discover your hosts, setup flavors and deploy the test cloud. 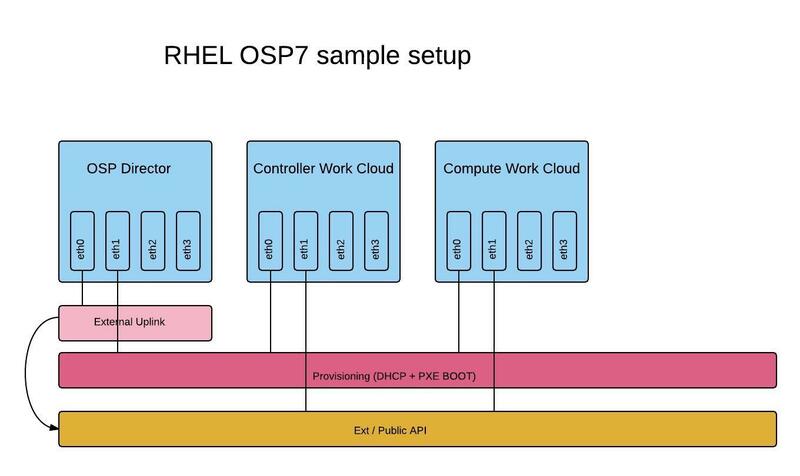 What version of RHEL OSP are you trying to install? OSP8 and OSP9 have no UI anymore so this step would be obsolete.